WHEN: Friday, June 16, Doors open at 7pm. Performance at 8pm. Cash bar available. Dinner for purchase. Featuring the music of Parliament Funkadelic, James Brown, Cameo, The Gap Band, Rick James, George Duke, Heatwave, Instant Funk, Aretha Franklin, Mother's Finest and Parlet. Come dressed in your favorite funkdafied clothing. We are looking forward to welcoming local jazz hero Jermaine Gardener to the Eubie Blake National Jazz Institute & Cultural Center this Friday evening (6/16) for a very special performance in recognition of his accomplishments and recent work with Johnnie Walker Scotch Whisky. A special 'ribbon cutting' ceremony will commence at 7:30pm as we dedicate the Jermaine Gardener Piano Lounge Presented by Johnnie Walker. 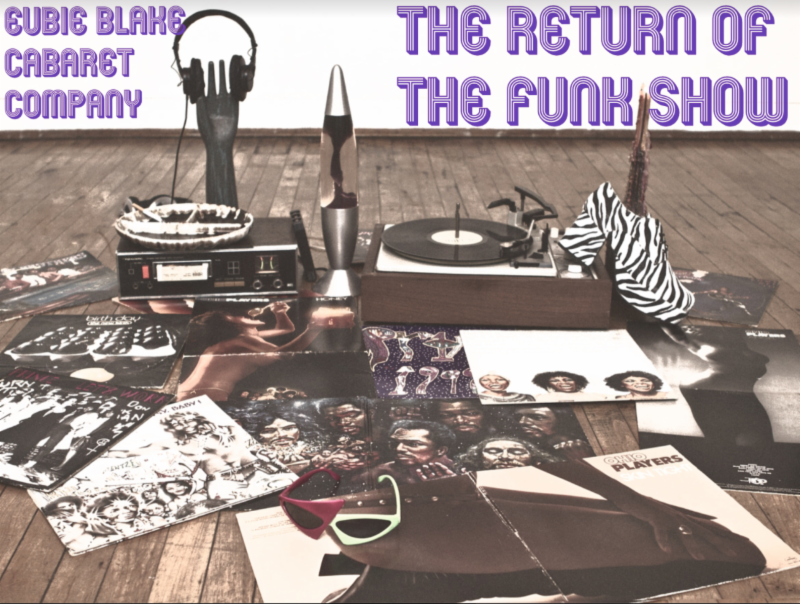 After the dedication, The Return of The Funk Show will take place. Specialty Johnnie Walker cocktails will be available throughout the evening to our guests. Click here to listen to a sample of the Eubie Blake Cabaret Company.